Chimney leaks are the most common reason for chimney repair calls. Rain falls from the sky landing on the top of homes. Rain is uniquely capable of discovering flaws and weakness of anything it touches. If there is a flaw in your chimney, the rainwater will find it and use it to enter your home. There are many obvious clues that something is wrong with your chimney. Moisture causes damage that results in all this and more. Chimney leaks must be repaired to prevent further damage. There are many possible causes of leaky chimneys. Only an examination of the stack itself will give you the answer. Waterproofing sealant may have deteriorated, allowing moisture to penetrate masonry. The freeze/thaw cycle then created cracks, more water got in, the cracks got bigger, and soon you have a leak. There is no cap on the chimney. This means there is a hole in your roof open to the sky and any wildlife looking for a place to build a nest. The chimney itself was built improperly. The flexible seal between the roof and the chimney, flashing, isn’t sealing anymore. The galvanized chase cover has started to rust. Water is pooling in the valley behind the chimney at the roof line. The worst leak of all is carbon monoxide leaking into your house due to chimney obstructions. The single most important thing about repairing a leaky chimney is the person who will be fixing the problem. This person has to be able to identify what is wrong, know how to fix it correctly, and be equipped to do the job well. Flashing, a familiar source of leaks, might need to be replaced entirely. In other cases, the existing flashing can be resealed or the shingles may need to be readjusted to shed water as intended. Underlying damage may require some carpentry work to replace rotting wood. The rotting wood must be replaced. A chimney cricket might have to be installed to divert the water away from the base of the chimney. 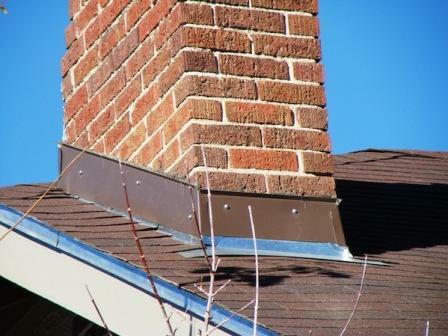 A rusty chase cover should be replaced with stainless steel, and the proper style of chase cover for that particular chimney style should be used. Chimney caps come in many designs. 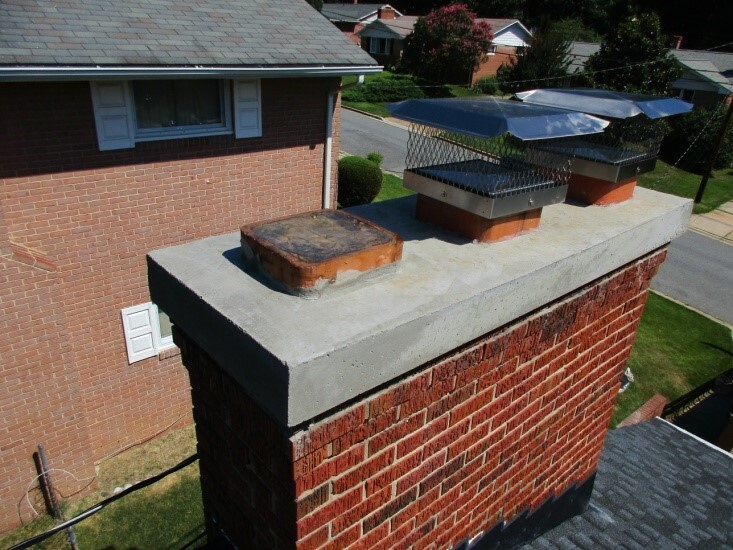 The wrong choice in chimney cap results in problems. In some cases leaky chimneys can be easily repaired by replacing the cap. 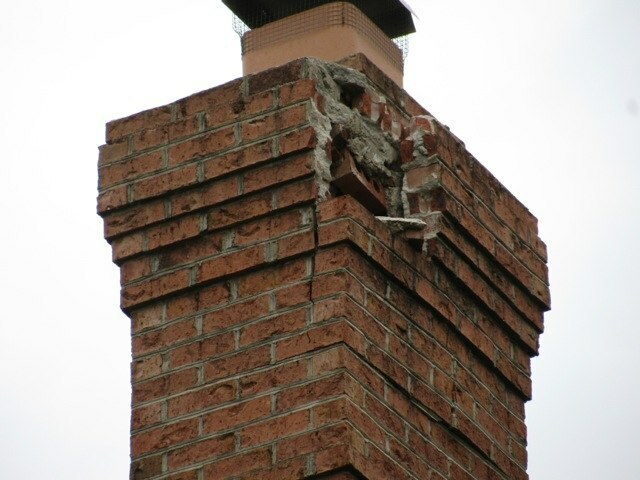 A damaged chimney crown will require repair or replacement with the proper technique. Deteriorated mortar between brick or stone has to be replaced (repointed) by removing damaged mortar and repacking the gap with new mortar that has been cut to form a surface that sheds water. A chimney liner or the correct flue may need to be installed because the source of leakage stemmed from an improperly built chimney. Waterproofing with a product designed for chimneys will let vapors escape while preventing water from coming in. The wrong type of sealant will trap water vapors and moisture inside the chimney to cause more damage. 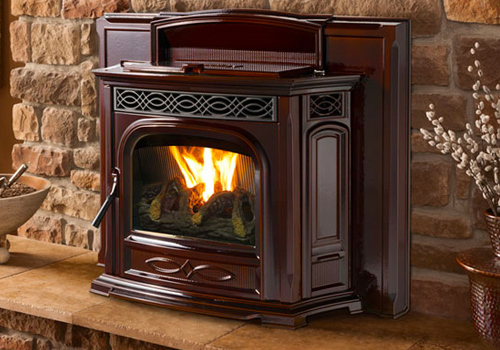 All Pro Chimney makes sure that the techs who come to your home have the requirements for this critical job. Our service team does the job right the first time and leave your home neat and tidy. Annual training updates on local codes and industry advances. Technicians fully inform customers about the options, processes, and products that are available.